Same as Kartopu Baby Natural, 49% premium cotton content, Kartopu Baby Natural Prints is perfect for baby's sensitive skin. 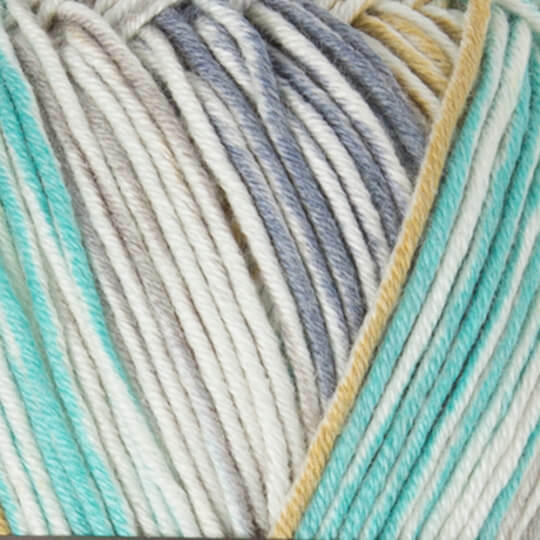 pastel print tone colors are self patterning that create great primts as you knit. Usage: Great for baby garment and accessory making. 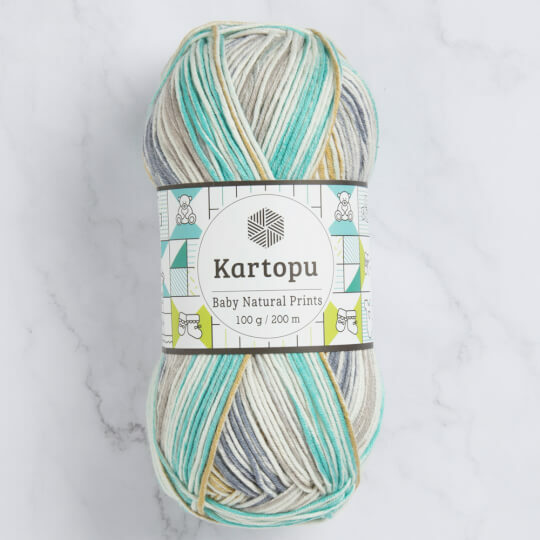 Specially with wide range of colors and worsted yarn weight, Kartopu Baby Natural Prints is also a perfect choice for Amigurumi making.